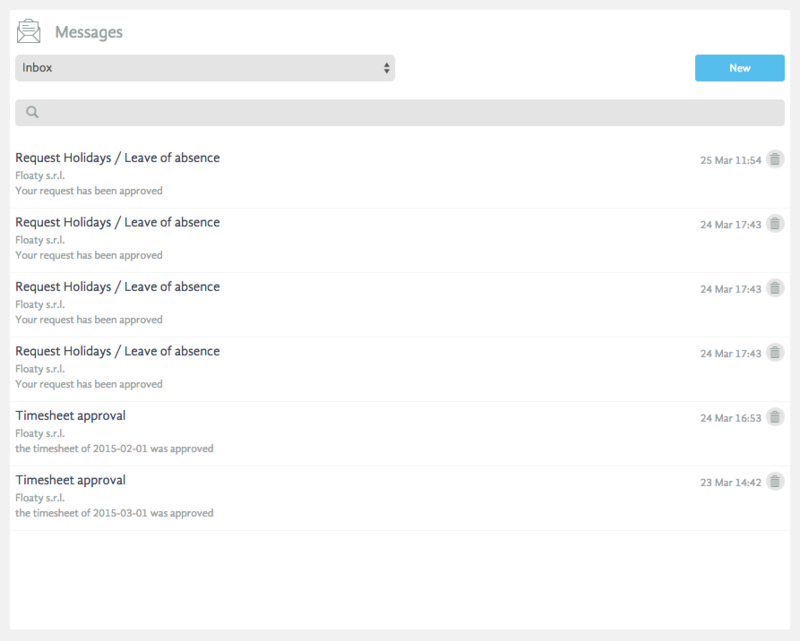 Messages is one of the BadgeBox functionalities that helps automate administrative task and improves communications. Every BadgeBox user has the possibility to communicate with other company’s user via BadgeBox message section. Messages can be reached from the top bar where you can see a notifications related to a certain message. 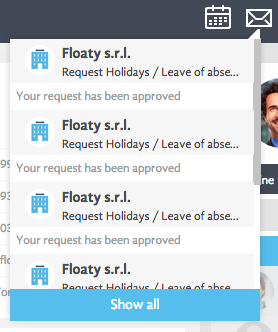 For example, when an employee makes a certain request, the notification will be sent to the administrator who can visualize it from here. Clicking on the button “Show all” it is possible to see all messages, search for a certain message and generate a new one, as we can see in the picture.